Cute, sassy or classy we have the styles for you. We pride ourselves in producing high quality handmade products that are produced in Texas. 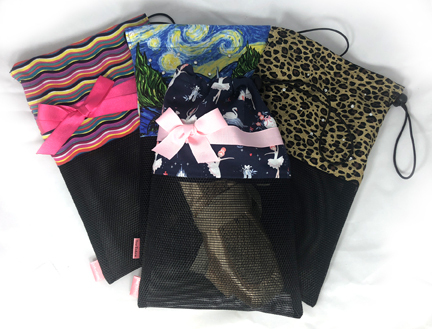 Our product line includes our Mesh Bottom ToeTote in 2 sizes as well as our fun and practical odor absorbing sachets and our line of keychains. We are also happy to create a custom design. Select your colors, fabrics and decorations. These ToeTotes combine fun fabrics with embellishments including ribbon, bows, beads, sequins and rhinestones. 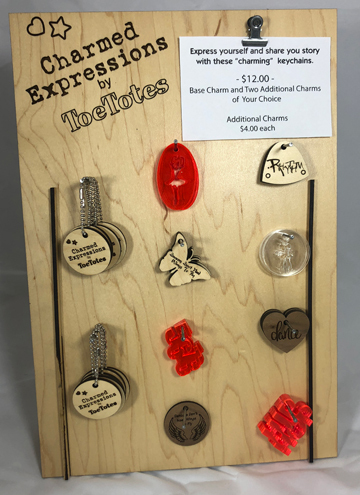 Charmed Expressions is our new line of “choose your own” charm keychains. 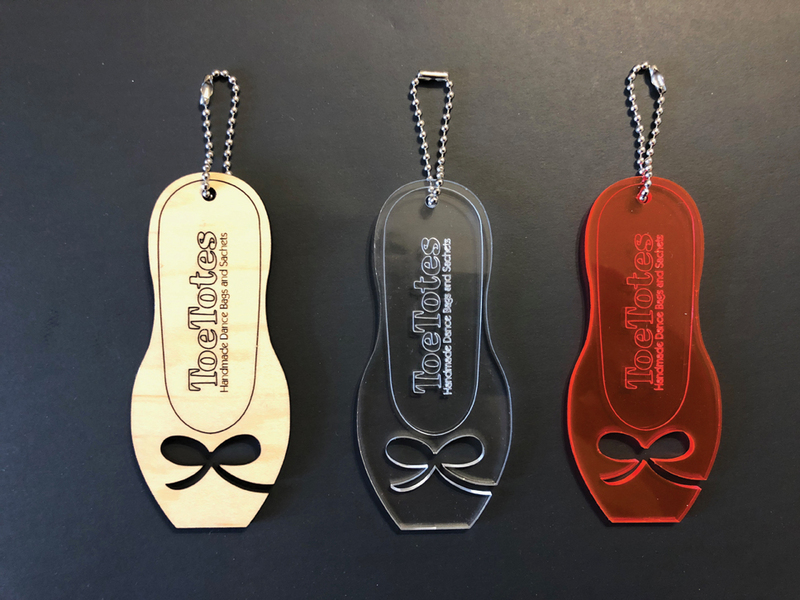 Dancers can build a customized keychain with charms to express their personality, share interests and celebrate achievements! A smart solution to a stinky problem. 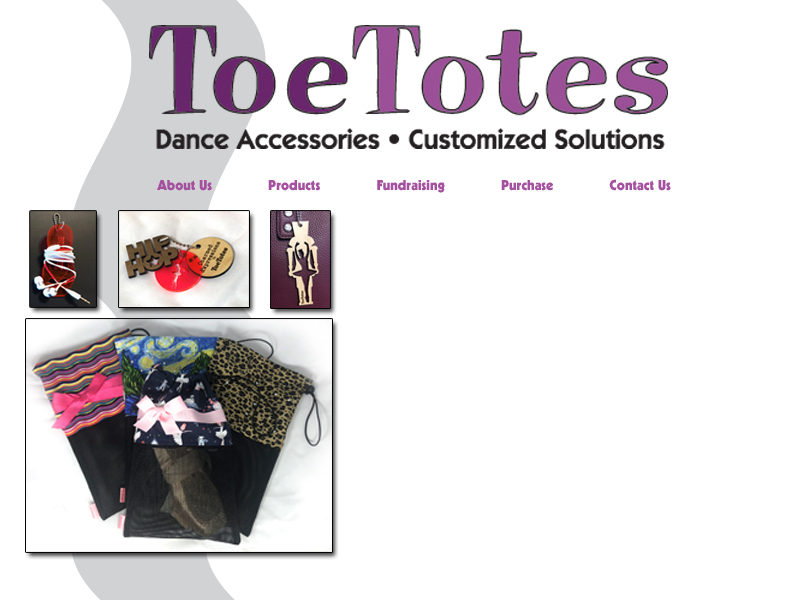 These lavender scented, odor absorbing sachets help control odor and moisture from dance shoes. 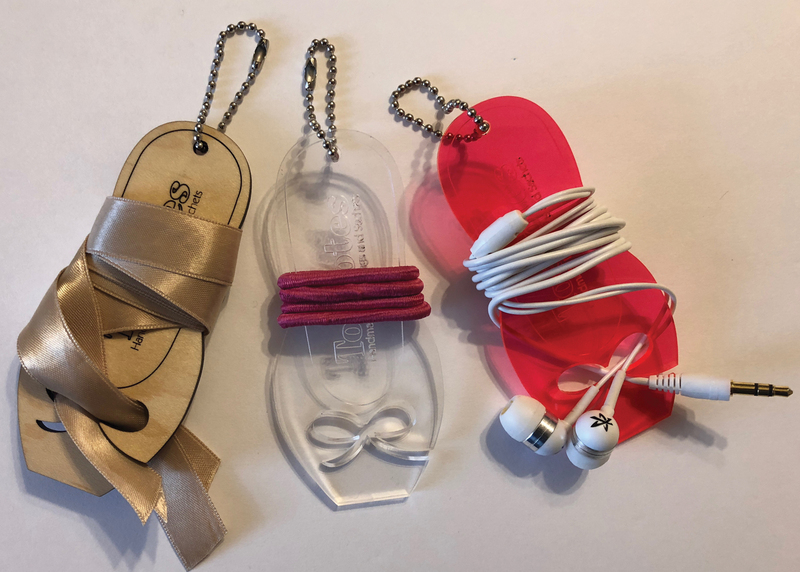 Place sachets directly in ToeTote (tag can be pinned to bag interior) or place directly in each shoe. 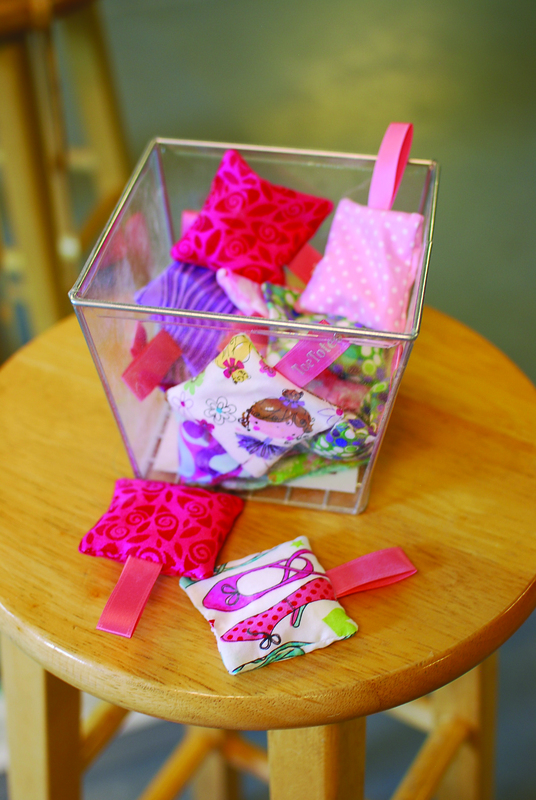 Sachets can be bagged individually or matching in pairs. 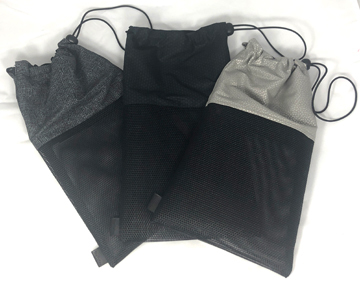 Sachets are bagged in a clear poly bag and tied with a satin ribbon with optional information tag. Please download the 2019 product catalog for complete details and pricing!